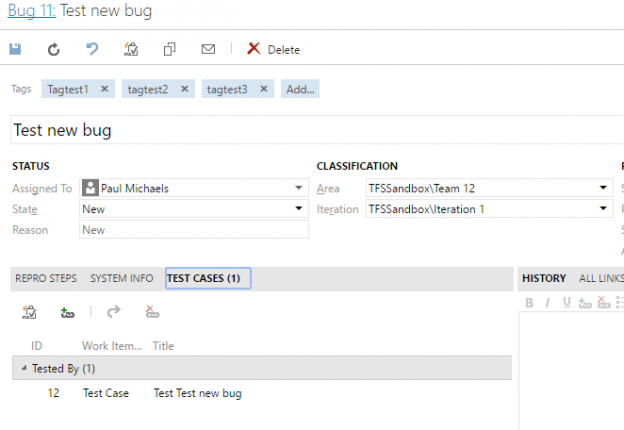 In this earlier post, I discussed how to create a test case via the TFS API. 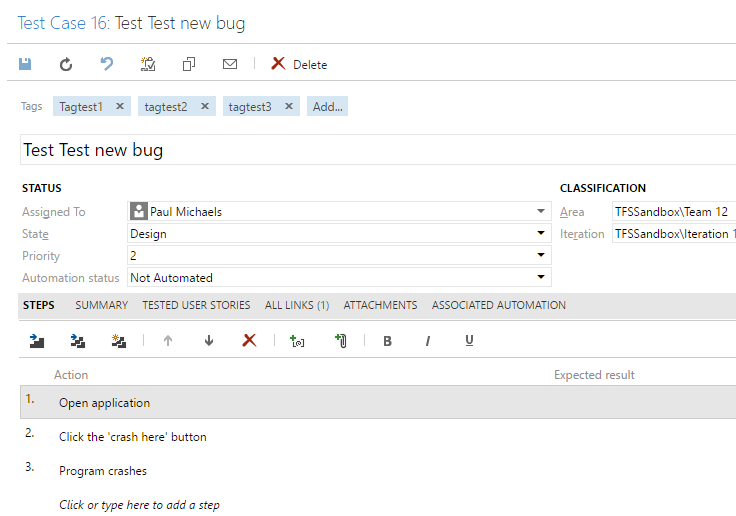 For my next trick, I’m going to create some test case steps. This entry was posted in C#, TFS and tagged c#, ITestCase, ITestManagementService, ITestManagementTeamProject, New Case, Test Case Step, Test Step, TFS, TFS API on December 7, 2016 by pcmichaels. 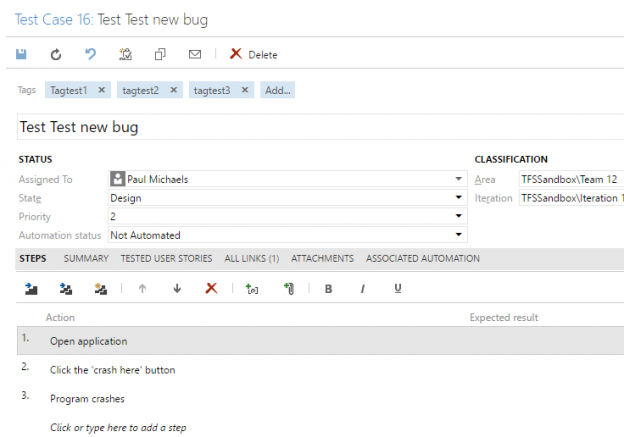 Previously I’ve covered how to programmatically create a bug in TFS. 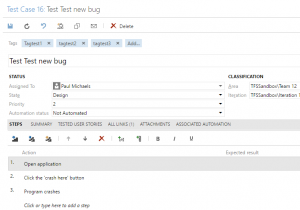 In this post, we’ll create a test case to cover it. 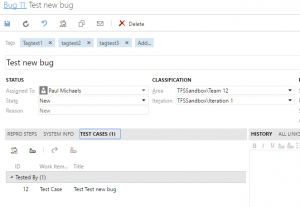 What we’re going to do here is to create a new test case based on the bug that we created in the linked post, then we’re going to copy key values across, and link the two. You’ll notice that I’ve added some tags. Why will become apparent later. 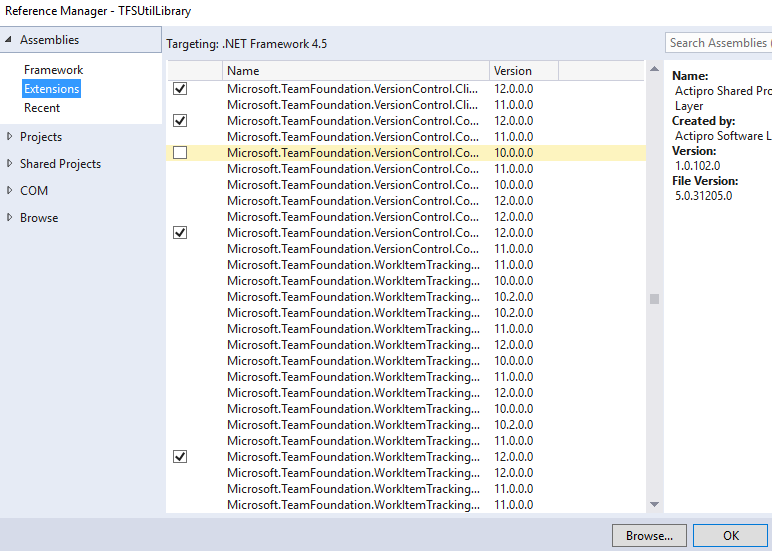 Couple of things to note here; the first is the tags – we’re copying them from the bug (see references). The second is that we are linking the two. //Add the link as related link. It feels like there might be a slicker way than referencing “Tested By” by name, but this is the only way I could find. As with the previous post, I’m not trying to re-write TeamCity or anything here; this was just born out of some pain with manually setting these things up. You’ll also notice that I’ve left the Test Steps; I’ll come back to them shortly (and by ‘shortly’, I mean in a later post). 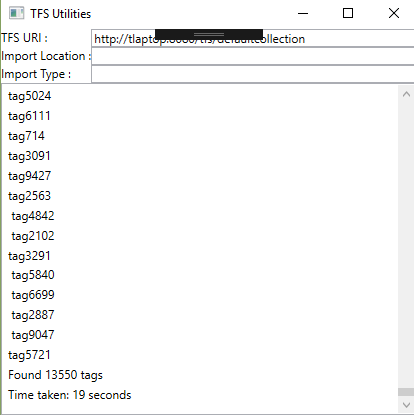 This entry was posted in C#, TFS and tagged Assigned To, Bug, Fields, GetTeamProjectCollection, Tags, Test Case, TFS, TFS API, TfsTeamProjectCollectionFactory, Work Item, Work Item Store, WorkItem on November 30, 2016 by pcmichaels. This question originally came up as a StackOverflow Question. Basically, the problem was, how can I tell which of my workspaces are now unused. 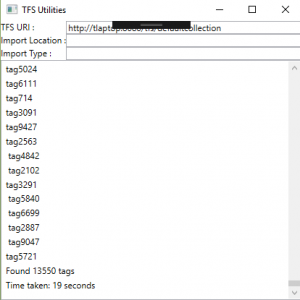 If you work in a single workspace then this may not be an issue; however, if you have an automated tool that interacts with TFS, you may find it’s constantly creating new workspaces and not cleaning up after itself. Obviously change the URI. I’ve commented out the Delete() command, and I strongly recommend that you check what it intends to delete before you let it go. My intention is to make this into a Codeplex project at some point, and I’ll update this post if I do so. 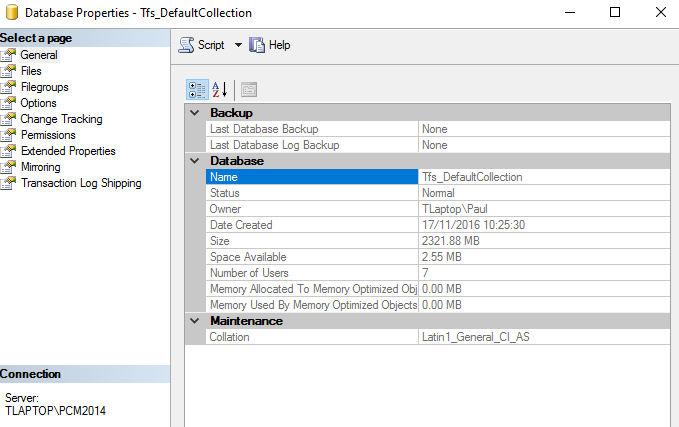 Please feel free to make recommendations for other TFS functions that you might like to see in such a project. 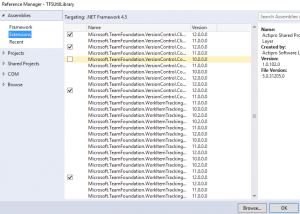 This entry was posted in C#, TFS and tagged c#, Team, TFS, TFS API on January 14, 2014 by pcmichaels.